When you or a loved one is addicted to drugs, finding the right inpatient treatment program can make all the difference. South Coast Counseling has proudly offered our treatment programs in Southern California for over 45 years that can help you achieve long-term recovery from drugs and alcohol. Our residential inpatient program offers clients state-of-the-art treatment methods that lead to long-term success in recovery. 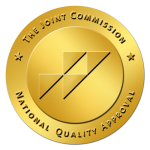 It is a common belief amongst medical professionals that residential inpatient treatment programs typically yield more stable, long-term success than an Intensive Outpatient Program, medication without therapy, one-on-one therapy with a personal psychologist or psychiatrist, or other lower levels of care. Television shows and movies often like to depict rehab centers where you stay around the clock, for a set amount of days, as either being super luxurious, a psych ward for the criminally insane, or similar to a jail setting. This is simply not true. While there are a plethora of high-end luxury facilities, as well as state-funded centers, the goal is the same wherever you are: to get you the help you need to ensure your long-term sobriety. Many people think that the ultimate goal of rehab is to just get and stay clean and sober, off of all mind or mood-altering substances. Meanwhile, our goal at South Coast Counseling is to work through the issues and possible trauma that led you down this path in the first place, whether you recognize them now or not. By enrolling in a residential treatment program, you are committing to spending a set amount of time away from the place where you spent your time being sick. If you’ve gotten this far, you’ve already completed half of the battle — admitting that you need help, want help, and by holding yourself accountable. Many times, clients come through our doors from unhealthy and toxic environments that make it difficult to try and recover by themselves. They come in from the streets, from the shelter of their parents’ house, and from dysfunctional families. By residing with other like-minded individuals who are trying to get clean and are going through similar struggles, it creates a much more comfortable atmosphere for healing. Additionally, there are like-minded individuals on staff as well. We understand the importance of hiring employees that understand what the clients they are treating are going through, ranging from the behavioral health techs who check up on you, to personal therapists that construct clients’ treatment plans — as well as assist in the execution of each individualized plan. By residing in an inpatient treatment center, you are offered the ability to speak with these techs and your therapist throughout the day, when you need to, as opposed to only a couple scheduled times a week during Outpatient Treatment. What are the Differences Between Inpatient and Outpatient Treatment? The first difference is a no-brainer. In an inpatient treatment center, you reside on property 24/7 with the exception of meetings, outside support groups, and special recreational activities. During outpatient treatment, depending on the level of care, clients could be required to be at the facility anywhere from 5-25 or so hours per week. During outpatient treatment, clients live at their own homes. They sleep in their own beds. They sometimes remain in the same unhealthy environment This can cause a great deal of temptation being out and unsupervised. (Keep in mind, you’ll be drug tested regularly!) At South Coast Counseling, we typically suggest inpatient treatment, as it can be difficult trying to recover when you’re stressing about what is going on in the outside world. Although it can be very frustrating to not be present at your own home if problems arise, if you don’t take some time out for yourself, you’ll eventually reach a breaking point. And let’s be real, are you really in a state of mind right now where you can problem-solve and cope with life on life’s terms just yet? It’s rarely easy to leave the comfort of your home (if you’re lucky enough to still have one) and go live with a bunch of strangers for an extended period of time, unless you’ve been camping out under a bridge or in a crack house. However, that’s the easy part. Not many people get the opportunity to take weeks off of ‘life’ just to work on bettering themselves, so it’s time to take advantage of it. During treatment, patients are assigned a primary therapist who composes their treatment plan, which is then implemented by our entire team. Remember, the goal of treatment isn’t just getting you clean and sober — but also about digging down deep and recognizing the issues that brought you down this path in the first place. Many patients come in with trauma, co-occurring mental illnesses, no friends or family, and are completely broken. 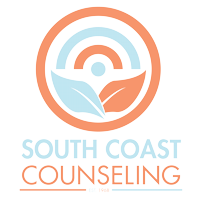 South Coast Counseling is prepared and excited to get you started on your path towards a meaningful life. Call us today at 1-844-330-0096.